Home Home Made in Ethiopia: Arkebe’s Vision or Illusion? Made in Ethiopia: Arkebe’s Vision or Illusion? In Ethiopia, authoritarianism is mainly a political tool that is effectively used to serve the interest of the small ruling group and its cronies. Except to formulate policies and strategies that are detached from the country’s reality, the group has no vision and/or determination to transform the national economy, Sileshi Tenna* explains. [Wazema Forum] By any measure Ethiopia’s failure to industrialize is extraordinary. Although it has been said that the country’s economy has been growing in double digits for the past several years, the share of the industry sector is very low and unchanged. In 2014 the average share of industry in GDP of the country was only 15 percent while that of the manufacturing subsector is 5 percent. This share of the manufacturing sector in GDP is significantly less than the developing countries average as well as the sub-Saharan Africa average which was about 10 percent in the same year. 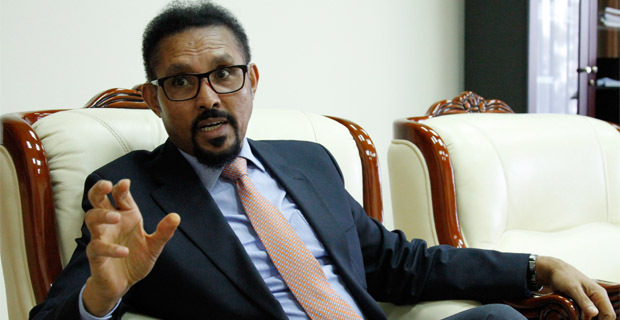 The Government of Ethiopia (GoE) talks about the possibility of industrializing the country by emulating the East Asian economic model-which is export-oriented and state-led industrialization. Recently, Arkebe Oqubay, who is the person at the forefront of Ethiopia’s industrialization effort, is telling us how that could be achieved. To this end, GoE has been investing on physical infrastructure (transportation network and power plants), education and health, and now on building huge industrial parks. The government is aggressively soliciting investors and firms in Europe, China, India, Turkey, Pakistan and others for the desperately needed capital and technology. The known horticulture, textile, leather, garment, and pharmaceuticals industries are identified as priority areas. Given this situation, it is timely to ask the following questions: Is light manufacturing the best way to transform the Ethiopian economy? Are these efforts enough to transform Ethiopia’s agrarian economy into industrial one that is capable of absorbing the huge unemployed labor force in the urban centers and underemployed labor in the rural economy? Are there not minimum institutional, political and social enabling conditions to kickoff industrialization and to sustain it? Has Ethiopia done with its homework for successful attraction and absorption of Foreign Direct Investment (FDI)? Does the current global political and economic order allow Ethiopia to emulate the East Asian Tigers? In order to give insight for such and related questions, we need to look through history of industrialization. It is true that, historically, industrial development -especially through the expansion of the manufacturing subsector- is the first milestone that contemporary developed countries achieved in their journey of economic development. This is because the subsector- with relatively little effort to improve labor skill – is capable of absorbing large amount of labor force that is released from the traditional sector like agriculture. In the second half of the 20th century, most of the countries that caught up the developed economies managed to do so by increasing the productivity of their labor force shifting it from the traditional economy into the manufacturing subsector. In this regard, it could be reasonable to Ethiopia to focus on the manufacturing subsector. However, this does not mean that all countries followed the same path of industrialization. Tracing back the history of industrialization reveals individual as well as different groups of countries managed to industrialize their economies following different approaches at different points in time. There is no single model for industrialization. West Europe and North America followed a path that involved invention and expansion of new technologies. Industrialization in these regions was mainly led by the domestic private sector where rule of law, property rights and free market played the crucial role. The role of the government was mainly in maintaining law and order, and public investment was pretty much limited to crucial physical infrastructure development. Given the fact that current economic, political and social realities are totally different from the observed realities during the industrial revolution, many believe the western model of industrialization is not a feasible option for the contemporary developing countries. The failure of Structural Adjustment Programs proved that countries cannot grow by simply implementing one-size-fits-all recommendations of neo-liberal economic thinking. However, this doesn’t mean that the contemporary developing countries have nothing to learn from the experience of West Europe and North America. Time and again, rule of law, property rights and market are proved to be pillars of sustainable growth and development. In this regard, Ethiopia is very poor performer even compared to many poor countries. Next to West Europe and North America, we find Japan. Taking advantage of being a late comer, Japan industrialized its economy by imitating and innovating the already invented technologies. Competitiveness in international market was the main objective of the industrialization effort in Japan and shifting the country’s limited resources where Japan had a comparative advantage was the main strategy followed. Although the process ultimately created a vibrant private sector that runs the Japanese economy, the Japanese government had played a leading and crucial role in the process of industrialization. The government was a guide and the public sector was major consumer of the private business. In the early period of Japan’s industrialization, the government even built factories and sold them to promising domestic firms at a fraction of their real values in order to make the later competitive in the international market. However, it should also be noted that prior to industrialization agricultural productivity was high and it was enough to sustain the cottage industry flourished both in rural and urban areas of Japan. Moreover, nationalism was always the driving force behind Japan’s civilization, and Japan had been promoting cultural unity and economic renaissance for long. Moreover, the intellectual and cultural life of the country was very suitable for industrialization. Once again, present day Ethiopia does not show a lot for itself when it comes to emulating Japanese model of industrialization. The East Asian Tigers – which the GoE wants to emulate their economic model- include Hong Kong, Singapore, South Korea and Taiwan. These countries more or less followed similar path that involved government intervention to a larger extent, and they also focused on few areas where they had comparative advantages. These economies took Japan as their role model. Given their geographical proximity, high level of human capital and their cultural similarity with Japan, it was to Japan’s advantage to relocate its labor-intensive light manufacturing industries to these economies as the former moved to heavy industry and high tech services. Though they were authoritarian, all of these South East Asian countries had farsighted nationalist governments, capable civil service and very efficient bureaucracy. Like Japan, government intervention was crucial in these economies. Governments had identified areas of comparative advantage and gave all-inclusive support for domestic promising firms involved in these key areas. However, compared to Japan, they were relatively free-market economies that managed to attract huge FDI. They also focused on exports from the beginning. It should also be noted that western countries, especially the United States, helped these economies to grow in order to make them a showcase to the success of capitalism. Does present day Ethiopia has something in common with the East Asian Tigers? It has nothing except one – authoritarianism. All other factors that are believed to contribute for the success of these countries are missing. As was the case between Japan and the Asian Tigers, there is no big advanced economy that can specially pick Ethiopia to relocate its light manufacturing industries. Ethiopia has neither the geographical proximity nor the cultural similarity to specially attract light manufacturing industries from countries like China, Thailand and Malaysia. Rather, Ethiopia has to compete with other cheap-labor but suitable Asian economies that have both the geographical proximity and cultural similarity with these countries. In addition, the present day international political and economic order is different from that of the Cold War period. In the era of globalization, industrialization through infant industry protection and import substitution is no more a feasible option. Although Ethiopia is considered as strategic ally of the US in the latter’s fight against international terrorism and the country is receiving remarkable amount of foreign aid, this is not comparable to the level of an all-inclusive economic support that the East Asian Tigers enjoyed during the Cold War era. Moreover, the level and quality of physical infrastructure and human capital Ethiopia currently has is not comparable to what the East Asian Tigers had during the Cold War. When we look at authoritarianism, except that there is consensus on the pivotal and broader role a government can play in transforming a backward economy, we don’t have concrete evidence to favor authoritarianism over democracy or vice versa. However, it is agreed that all authoritarianism are not the same. More importantly, we know for sure that the authoritarian regimes of the East Asian Tiger economies managed to get the crucial economic fundamentals (i.e. private incentives, rule of law, property rights, high saving rate and efficient allocation of resources) right. In contrast, Ethiopia’s brand of authoritarianism has not yet institute these basic economic fundamentals. In Ethiopia, authoritarianism is mainly a political tool that is effectively used to serve the interest of the small ruling group and its cronies. Except to formulate policies and strategies that are detached from the country’s reality, the group has no vision and/or determination to transform the national economy. It is structured along ethnic lines; and, to the dismay of the others, it is dominated by people from one ethnic group. Above all, merit has no place to climb-up in the leadership ladder. Given the sever competition in the global market, miserably low level and quality of physical and human capital, the ethnic and political fracture the country had and EPRDF accentuated as a survival strategy, the broken legal system, the incapable and inefficient bureaucracy, GoE’s vision to emulate the model of the Tiger economies is an illusion. However, the door to industrialization is not totally closed. In fact, light manufacturing industries are currently leaving countries like China, Turkey, Thailand and Malaysia looking for cheaper skilled labor in countries like Vietnam, Bangladesh, Cambodia and Philippines. Ethiopia can emulate the economic model of the later economies which are at the lower stage of development in the global structural transformation chain. However, Ethiopia has neither the geographical proximity nor the cultural similarity to specially attract light manufacturing industries from countries like China, Thailand and Malaysia. Thus, an ethnically-divided, land-locked Ethiopia faces a formidable challenge to compete with these countries and be part of the global structural transformation chain. It should be able to formulate policies and strategies that capitalize on country’s comparative advantages – lower wage, young population, and big domestic market. For successful absorption of FDI, political stability and good policy environment are also crucial. In other words, the ruling regime should do a major shift in its political strategy. It should put in place an accountable civil service and efficient bureaucracy. This also means the level and quality of physical infrastructures, communication networks, human capital, and financial services need to be augmented significantly. Otherwise, even in this scenario, Arkebe’s vision would remain an illusion. *Sileshi Tenna is Economist by training, Harvard Kennedy School graduate and currently working for Bank of America. “አለ በጅምላ” እንደምን ወደ ውድቀት ሊያመራ ቻለ? 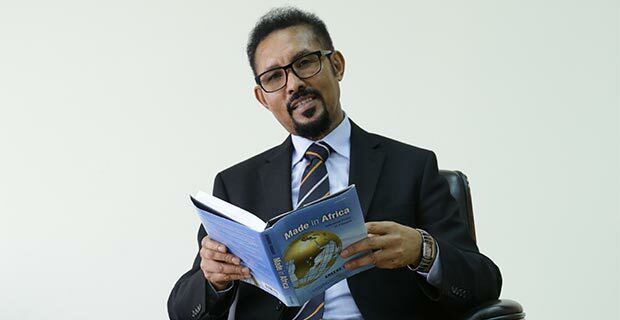 It is a good read … however, don’t agree with the narrative of “there is no big advanced economy that can specially pick Ethiopia to relocate its light manufacturing industries. Ethiopia has neither the geographical proximity nor the cultural similarity to specially attract light manufacturing industries from countries like China, Thailand and Malaysia”.